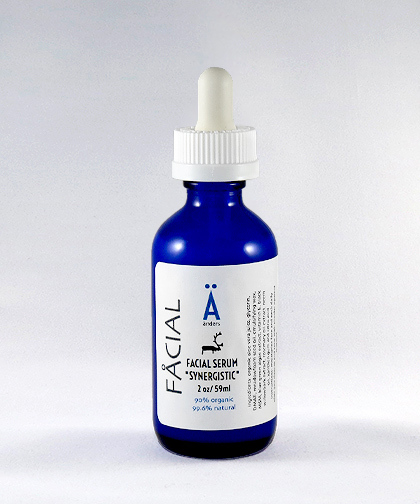 Our Synergistic Facial Serum is just that, a synergistic blend of powerful ingredients to deliver an effective punch to the environmental stress and free radicals that attack our faces on a daily basis. A Serum is an effective addition to your facial regime. This ingredient is very healing. It helps remove brown spots and is anti-wrinkling making it very effective for mature skin.